"Norwich University, which was the first private military institution in America and subsequent "birthplace of ROTC," enrolls 3,422 students, all of whom may opt to remain civilians or join the Corp of Cadets. Norwich offers pre-professional and liberal arts programs, as well as a distance learning platform, and is located in Northfield, VT, which offers some spectacular views of the beautiful Green Mountains." Describe the type of student who should not attend Norwich University and explain why. Describe the type of student who should attend Norwich University. Why? What is a typical Norwich University student like? Describe the type of person that should attend Norwich University. What are the top 3 reasons someone should attend Norwich University? Its a lot of collection of the gaming because here in this game all gamer can make a best hearts game online score at the gaming time if they have knowledge then so that come here and take the knowledge. What was a typical Norwich University student like in high school? Describe the type of person that should attend Norwich University. 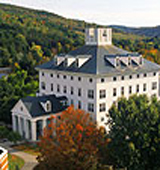 I think anyone should attend Norwich University no matter their background because what makes the school so unique is the uniqueness of its students. Different cultural backgrounds keeps class entertaining and diverse and gives a unique world perspective. At Norwich, you'll develop traits common among leaders in every profession--discipline, integrity, confidence, loyalty and honor--through a wide range of opportunities that will empower you in ways you never imagined. What are the top 3 things that students do for fun at Norwich University? A program that focuses on the principles and techniques of intelligence acquisition, analysis and exploitation. Includes instruction in intelligence organizations, the intelligence cycle, intelligence operations planning, intelligence analysis and reporting, intelligence methods, electronic and signals intelligence, operations and communications security, human intelligence management, intelligence chain of command, information exploitation and psychological warfare, and the relationship to national security policy and strategy. The average student pays $27,775 for tuition, fees, and other expenses, after grants and scholarships. Total stated tuition is $31,550, in-state and on-campus, before financial aid. Learn more about financial aid at http://www.norwich.edu/admissions/financial. Estimate the net price for you at http://www.norwich.edu/admissions/financialaid/netpricecalculator. The typical (median) early career salary of Norwich University graduates is $51,100, according to Payscale. Norwich University participates in the NCAA Division III for college athletics. Want more info about Norwich University? Get free advice from education experts and Noodle community members.